Whats Is 98NC Unlocker 3 FRP Unlock Tools? 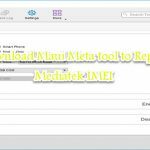 98NC Unlocker 3 FRP Tools is a small Windows utility which helps you to remove FRP lock from Lenovo, HTC, Samsung, Asus and Moto. You can also remove Mi Account by using this tool. 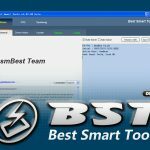 The latest version of this tool has been released recently and now in this article we have managed its direct download link to download it. If you want to download 98NC Unlocker 3 FRP Tools latest updated version, then click on the link given at the bottom. What We Can Do Using 98NC Unlocker 3 FRP Tools? Reboot any android smartphone or tablet. Read software and hardware information. Remove Mi Account activation in ADB & Fastboot mode. Remove FRP lock easily within minutes. Reboot ADB in DL Mode. Font style for Myanmar font. Bypass FRP lock on MTK & SPD CPU in fastboot mode. Remove/Bypass/Unlock FRP lock on Asus (Fastboot). Remove/Bypass/Unlock FRP lock on Lenovo (Fastboot). Remove/Bypass/Unlock FRP lock on Moto (Fastboot). Remove/Bypass/Unlock FRP lock on HTC (Fastboot).